We could stop burning fossil fuels tomorrow and still find ourselves facing the mass-extinction of humans in our lifetimes. Every single day there is a new piece about the rate of climate change, the amount of carbon in the atmosphere, the ongoing shift from high-carbon fossil-fuel based economies to economies based on ‘renewable’ energy. But the carbon-intensity of our energy production is but a part of the equation. Sure, it’s huge and temperature altering part which in and of itself is cause for concern – but dealing with carbon intensity alone will not prevent catastrophic climate change. The elephant in the climate war room is consumption. We’re decades behind where we need to be in regard to reversing carbon accumulating in our environment and atmosphere to prevent runaway climate change from taking hold. Never in human history has the air we breath, or the oceans on which our food chains depend, contained so much carbon. We just officially passed the annual low-point for carbon in the atmosphere and for 2016 carbon intensity did not drop below 400ppm. Years ago leading climate scientists including James Hansen agreed 350ppm as the ‘upper limit’ of safe atmospheric carbon levels – we’ve blown past that and are on track for a world in which 450ppm is the new global norm. Yes, fossil fuels are incompatible with a safe future. But what else is incompatible with a safe future, and what else must we stop using and doing? If we look to the long-term it turns out there is a whole range of every-day activities and products which are incompatible with a safe future. The bread I ate with breakfast comes from wheat produced on an industrial farming process that destroys soils and is entirely reliant on a finite supply of phosphate based fertilisers; just look to Nauru for an indication of the impact of Phosphorous mining has on communities and the environment. The bacon came from an industry heavily reliant on antibiotics, steroids and the abuse of animals. Excessive use of antibiotic is increasingly leading to new anti-biotic resistant ‘superbugs’ – a global health nightmare waiting to happen. The oil we cook with comes from mass produced olives (or sometimes canola), sourced from an intensive olive farm in Spain – where biodiversity has been hit hard by mass clearing and over-use of pesticides and other chemicals. The water in my cup comes from a mix of desalinated ocean water and local underground aquifers because we’ve already depleted our dams. I could go so much further into the water use by all of the ingredients, their cleaning, sorting, processing and transport. The plastic they come wrapped in. Unless we reduce consumption, we will eventually run out of clean water. And that’s without even mentioning the land clearing required for virtually all the ingredients – including those which came from my garden. How much forest, bush or wetland was cleared to grow that wheat, canola, olive, avocado, orange, garlic and onion? How much land was cleared for the roads to transport it? How much land was cleared to mine the stone and tar for those roads? My breakfast was a really mundane choice of example, but it serves as a simple illustration of the depth of our problem. But lets look a bit deeper. Imagine a future where the existing system continues, powered by renewables. For simplicity, lets ignore any impact from global warming. Each years 80 million new cars will be produced, relying on steel, aluminium, copper and increasingly on rare-earths and lithium to enable advanced electric systems. They require rubber for tyres, silicone for a variety of parts often including brakes, grease for bearing joints and a variety of other materials including glass. Nearly all of these materials come from somewhere. Over 1.4 billion mobiles phones will continue to be produced each year, requiring land-clearing for ever more lithium and rare-earth materials. We continue increasing the rate at which we consume Earth’s resources to feed, house and entertain a perpetually growing population. Land clearing and resource extraction continue at current rates. Biodiversity decreases. Eventually we get to a point where the supply chains for one of those key building blocks of modern life breaks down. A major power runs out of fertiliser. Another has a superbug outbreak. Some nations – like Australia – begin to run out of water. What then? Does war break out? Over the last 60 years we’ve seen the extinction of 50% of all known biodiversity on earth, even in the absence of the worst impacts of climate change. Even before the worst impacts of fossil fuel emissions are felt, we’re in the midst of a man-made mass extinction. We can not afford to stay on this path. The only answer to our problems is a complete systemic change. We must move on not just from fossil fuels, but from social and economic systems based on ‘perpetual growth’ and a consumption model reliant on ever-increasing demolition of communities and the natural environment. If we don’t change the model, we won’t save a thing. Might actively slowing the burning of already sold fossil fuels be more effective than preventing new supply entering the market? In reading a recent report from the LNG industry (as you do), I became aware of a surprising fact – there are currently only 108 LNG import terminals operating around the world. This makes the LNG export industry extremely vulnerable to ‘bottlenecking’ and LNG prices highly susceptible to artificial supply ‘gluts’. If import facilities experienced slowdowns and stoppages, while production continued apace in exporting nations like Australia, the experience of ‘global demand’ for LNG would be negative and gas prices would fall. Over recent years community actions targeting the supply-side of the fossil fuel industry has grown. I fully support campaigns to #KeepItInTheGround. It’s important to stop and slow down fossil fuel production and export. But would it be more effective to target demand? Are we not in a ‘supply glut’, with source-fuel stockpiles weeks long? Do supply-side actions have ANY impact on fossil fuel consumption? The biggest depressor of growth in new gasfields is low gas prices. Low prices persist when available supply outstrips actual demand. When throughput at import facilities slows absent supply constrictions, global gas prices tend to go down. Producers are then hit with a double whammy – a reduced capacity market to sell in AND a lower-value product to sell too. While 70% of global gas production is consumed domestically – and pipelines account for the bulk of exports globally – Australian gasfield development is driven by LNG exports. Interruptions and slowdowns at import facilities overseas would have a HUGE impact on the rate of gasfield development here. Why stop ships leaving port, when we can stop them coming in? Imagine the flow-on impacts of preventing LNG ships from getting to port for a few days. Pretty soon the regasification plant will run at reduced capacity, and down-stream operators will have to burn less. The economic ramifications could be huge, the kind of thing people in high places would pay attention to. It’s not necessarily going to be easy to non-violently prevent huge LNG ships from entering busy ports – but it could be highly effective. 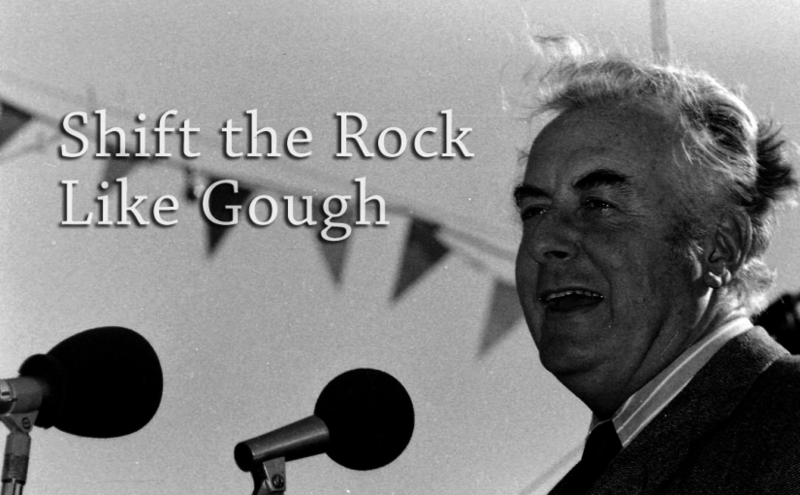 It’s time – Shift the Rock (like Gough). That classic Gough Whitlam campaign slogan “It’s Time”, is as relevant today in 2015 as it was the day his campaign launched in 1972. The space for progressive political and economic change is once again widening, after having come under repeated attack by conservatives ever since Gough was dismissed via Double Dissolution in 1975. 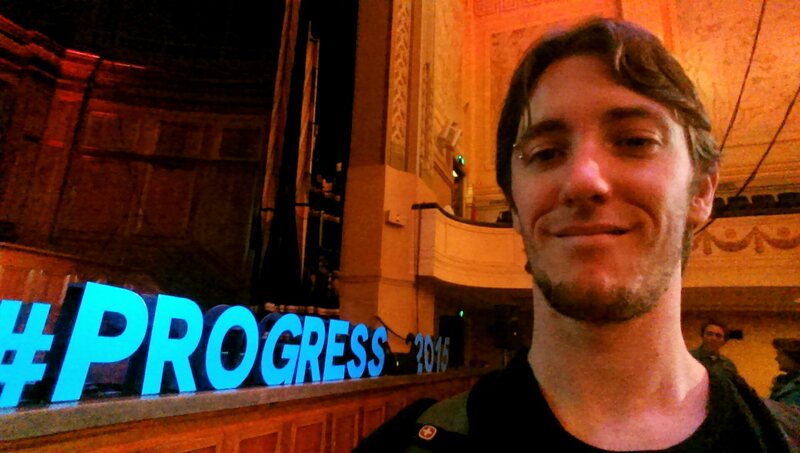 At Progress, I attended a workshop called “Moving the Rock – Shifting Power for Sustained Change”, hosted by Sam La Rocca and Holly Hammond. Points raised in that workshop provided some of the key takeaways for me. Particularly, a strong reminder about the value and role of radicals. It’s about the intersection of what is ideal and what is ‘politically achievable’. Continue reading It’s time – Shift the Rock (like Gough). 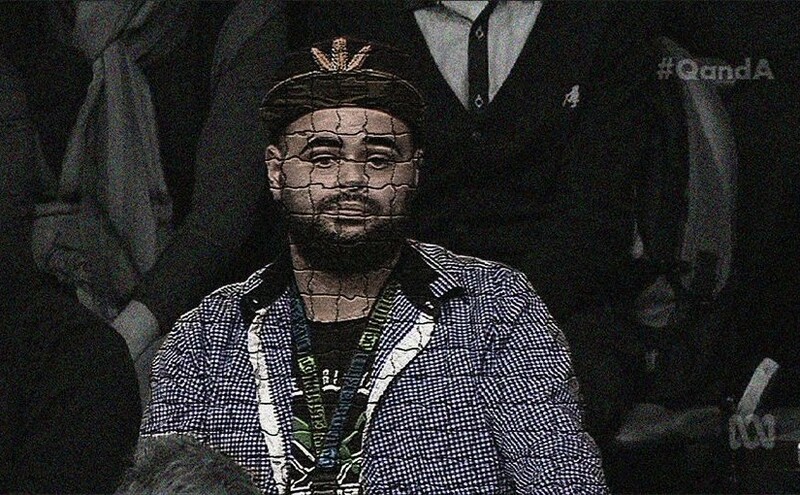 Posted on May 12, 2015 May 13, 2015 Categories Activism, Australian Economy, Australian Politics, Climate, Economics, Environment, Foreign Policy, Iraq, Online Privacy, Politics, Refugees, State Government, State ViolenceTags Australia, Coal, Forest, Fracking, Gough Whitlam, Lock The Gate, Luke Skinner, Politics, Progress, Radical, Shift the Rock, Troutish, Values1 Comment on It’s time – Shift the Rock (like Gough).